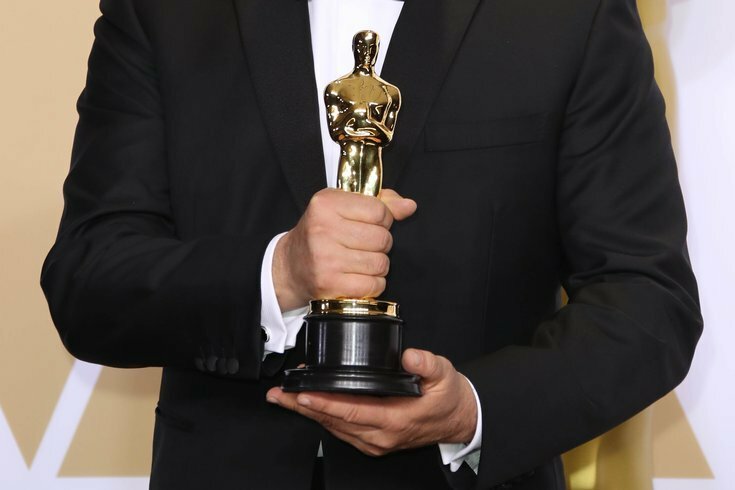 Who will win at the 91st Academy Awards? The full list of 2019 Oscar nominations has been announced! Time to start speculating on who will win at the 91st Academy Awards this February, and which celebrities will create meme-able moments. "The Favourite" and "Roma" both lead this year's Oscar nominations with a total of 10 each. "A Star Is Born" has eight – but no Best Director nod for Jenkintown native Bradley Cooper – as does "Vice." Up for Best Picture, the most coveted award, are: "Black Panther," "BlacKkKlansman," "Bohemian Rhapsody," "The Favourite," "Green Book," "Roma," "A Star Is Born" and "Vice." On Sunday, Feb. 24, most will tune into the awards show from their couch, but you can attend a huge, glamorous Oscars viewing party in Center City. It will be held at the Philadelphia Film Center (formally The Prince Theater). Attendees are invited to get dressed up, walk the red carpet, enjoy cocktails and movie snacks, and watch the Oscars on the big screen. Tickets to attend are $50. There's also an option to purchase a VIP ticket for $250. The VIP gala starts at 5:30 p.m. and includes a three-course dinner in the Philadelphia Film Center's intimate Black Box theater. The exclusive pre-party also includes a champagne toast, gift bag and a sneak peek at premium auction items. All proceeds from the event benefit the Philadelphia Film Society. Only those 21 or older will be allowed to attend the party.